My favourite restaurant is a quaint place called Asahi Sushi. 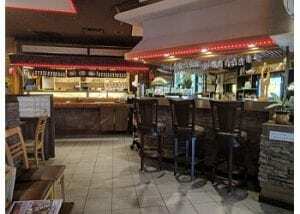 Asahi is a not too big but not too small but popular restaurant located next to the 711 and Megabite. The location makes it easy for customers to get to and it is located next to other popular food places. Whenever I have a craving, it is usually Asahi. I’m always surprised when I walk in through the front door.The front door is an experience in itself. The aroma that surrounds my body when I enter just puts a smile on my face not too mention this is a great place to hang out with friends. The smell of spices warm my nose and fill my lungs. Asahi food is always fresh and cooked to perfection although I have never tasted five star food before I always think that this deserves spot. The exquisite smell of my meal always manages to put a smile on my face. Following the first bite my mouth waters from the fresh broccoli, tasty tender beef, and long stringy noodles, however, I always avoid the veggies if I can. The beverages are fresh and chilled, always quenching my thirst andirons it’s a pop it’s fizzing in my throat as it flows down. This elegant dining experience is fit for all ages and all food preferences. The flavours are extraordinary and is by far my favourite sushi place. The restaurant has booths lined up in the middle of the restaurant in rows of course. The back is lined with rooms meant for groups which I have to say is pretty cool.. The service is a bit slow, although that could be because there’s usually 5 or more of us. The employees are more than happy to make your meal fresh, or let you try a sample. When ready, a worker will deliver your meal straight to your seat with a smile. Warming faces and great food just completes the dining experience. The doesn’t restaurant lack decor. Although Asahi could always improve on its group rooms.. Likewise, they could improve the front door to be more obvious wether to push or pull, I have to admit that this is a nitpick. Most fast food establishments serve only a few different types of food you can order but the choices are endless at Asahi; mostly sushi related of course. The menu is simple and looks great. You can customize your order to your liking, within reason of course.. The prices are fantastic; meals only costing you $10.00 it’s basically a steal. This restaurant lack is great all around with the delicious food and great, caring employees. Finally, when you’re in the area and looking for a great meal, I would recommend this great dining experience to anyone.